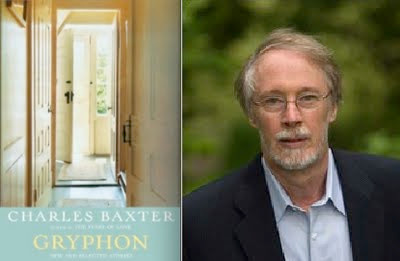 In the ninth in a series of posts on 2011 short story collections entered for The Story Prize, Charles Baxter, author of Gryphon: New and Selected Stories (Pantheon Books), answers questions about his writing process and identifies some ideal story collections. "Harmony of the World": I had to research the life of Paul Hindemith to write the story, and the process also required that I learn something about the life of Johannes Kepler; finally, I had to include musical notation in the story. It's haphazard. Usually I daydream my way through a story so that I have some sense of what the story will be once I sit down to write it. But sometimes I've tried to improvise an entire story from scratch, like a jazz improvisation. "Westland" was like that. This book is a New and Selected, so the order follows a chronological pattern, up to and including the new stories. There is, I hope, an inner logic as well. I used to ask my friends and fellow-writers for quite a bit of feedback, but now that I'm older, I don't need quite as much of that as I once did. You get to be your own harshest critic. However, I never asked anyone for criticism or suggestions unless I had put the story through at least several drafts. Interesting characters, intriguing situations, beautiful sentences. Hauntings. John Cheever's Collected Stories and James Joyce's Dubliners and Katherine Anne Porter's Pale Horse, Pale Rider. No explanation from me about these great books should be necessary. More recently: Edward P. Jones's Lost in the City. Books I read in high school by J. R. Salamanca and Davis Grubb. If the materials are arcane and esoteric, I try to read up on them. I'm a published poet and critic. The poetry ideally creates a particular sensitivity to language, and (also, ideally) the criticism creates a sensitivity to form. No. I can't imagine what that would be like, it's so distant from my own practice. Alvin Greenberg, my teacher at Macalester College, and a fine short story writer in his own right. About twenty years, in "Harmony of the World."